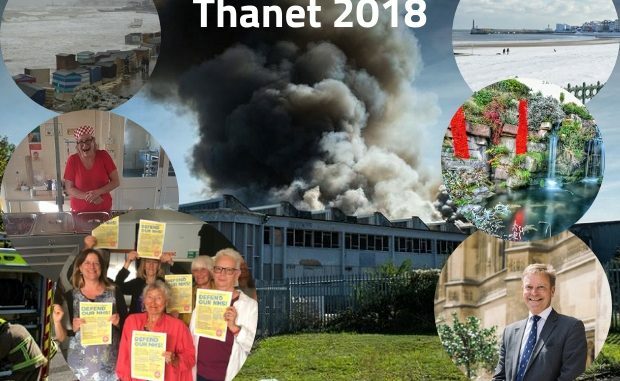 It has been an eventful year, from UKIP being ousted as the leading party on Thanet council to storms, the huge Westwood fire, a stowaway ‘mutiny’ and the amazing Summer Kitchen. As the year comes to a close we take a look at 29 things that took place in 2018. A shocking photo of injuries was released with the permission of postman Vince Marsh who was hit by a car while making his deliveries in Margate on Saturday, January 6. Vince, from Birchington, was airlifted to King’s College hospital in London with serious injuries after being hit by a vehicle in College Road. Police were called to reports a car had hit a pedestrian and also vehicles. 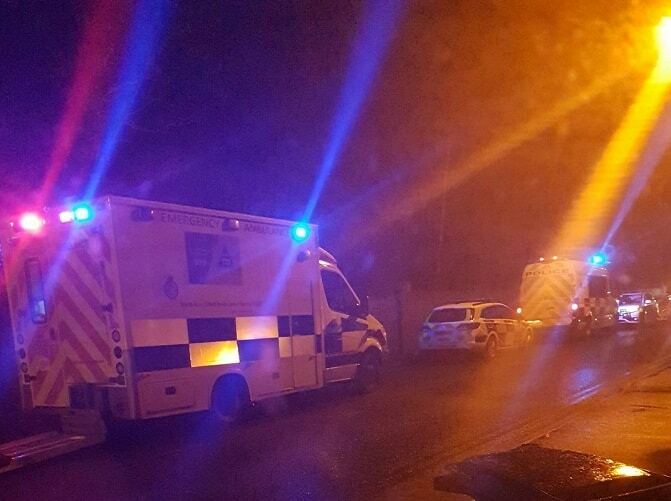 A woman was arrested at the scene on suspicion of drink-driving. 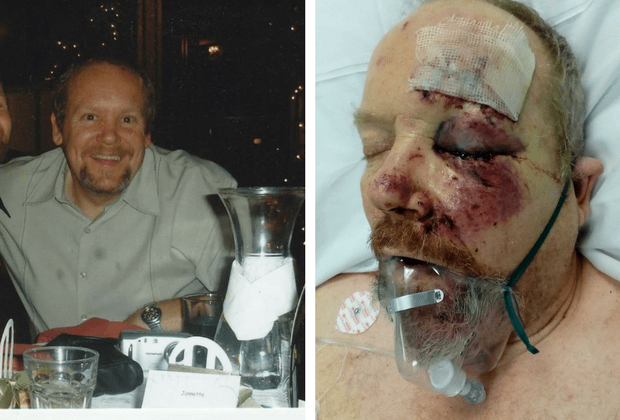 Vince, 59, was flown to King’s College Hospital with injuries including four fractured ribs, a broken leg and a shattered knee cap. He also has pins down his leg, a fractured eye socket, deep cut to his head and scrapes and bruises all over. In November Sheree Fogarty, 44, of of Millmead Road, Margate, was found guilty of failing to stop after a collision and failing to provide a specimen of breath when required to do so. The court found her guilty in her absence last month after she failed to turn up. Twelve rebel UKIP councillors were among the 35 that voted against publishing Thanet’s Draft Local Plan on January 18. Thanet’s Draft Local Plan is a blueprint for housing, business and infrastructure up until 2031. The plan sets out how much development is needed to support the future population and economy. 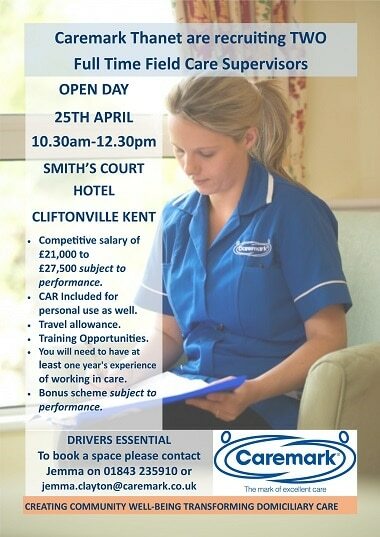 Transport, employment and infrastructure -such as roads, schools and GP surgeries – are also examined in the plan. But the change of status for Manston was the sticking point for members of the administration’s own party as well as for the Conservatives and three Independents. An “11th hour” amendment to defer for two years the mixed-use designation for Manston airport pending the resolution of the DCO process was not enough to get the plan voted through to publication stage. Twelve UKIP, 20 Conservative and 3 Independents voted to reject. Heavy snow hit the isle and further afield towards the end of February. Police dealt with more than 200 collisions and over 100 other weather related calls on February 27 and there were disruptions to train services and bin collections and some school closures. Thanet council and isle UKIP leader Chris Wells resigned his post. 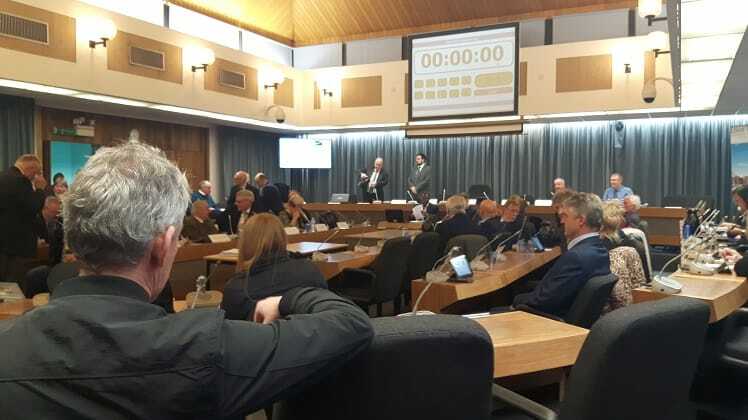 The move followed a meeting with Thanet Conservative Party leader Bob Bayford to discuss the changed group arrangements within the council chamber following the defection of 12 UKIP members to Independent status. Cllr Bayford, as Leader of the largest group on council, moved to form a fresh administration. Cllr Wells agreed to step aside to minimise disruption and maintain stability at the council by ensuring a vote for a new leader without the disruption of a vote of no confidence. The resignation meant the end of the country’s only UKIP-led administration. 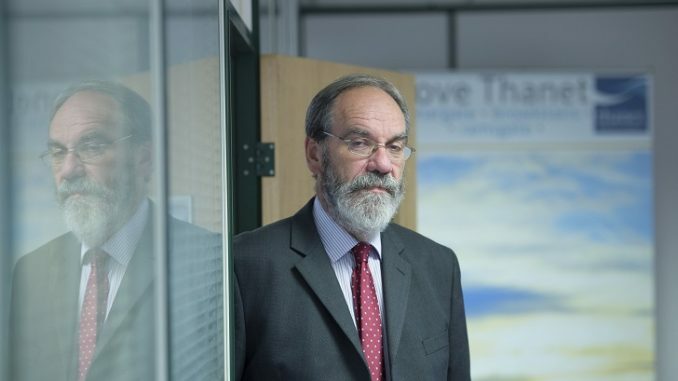 The government announced £19.5 million in funding for projects by the NHS in Kent and Medway – including £2.5million for the extension of the Bethesda Medical Centre in Cliftonville . 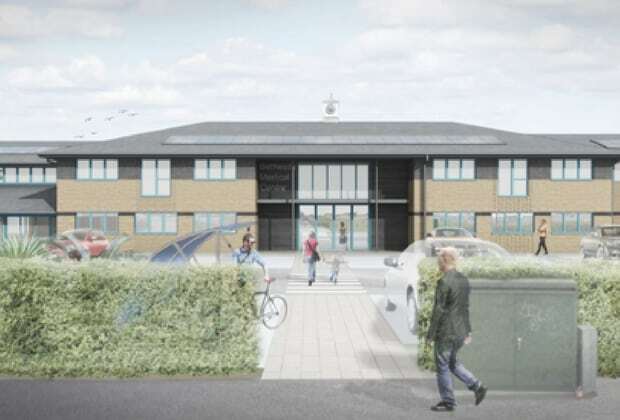 The project, which will have a total cost of £6.5million, aims to create a state-of-the-art health centre where GP, nurse and community services will be provided to the growing local community. The new centre will open in 2020. 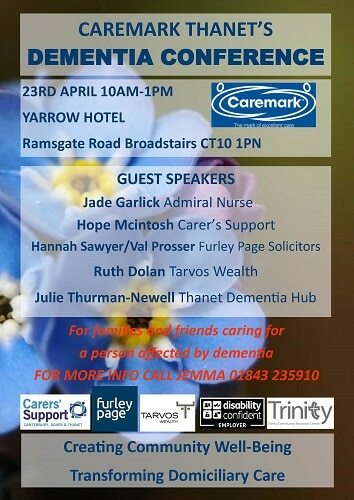 The plans, revealed by The Isle of Thanet News in December 2017, are to create a new “one stop shop” for people in Margate which can cater for up to 32,000 patients, allowing them to get medical and nursing services in one place. The Bethesda centre will include specialist clinics for physiotherapy, audiology, ophthalmology, ultrasound and minor surgery, for patients from Margate and beyond – services which are currently only available in hospital. 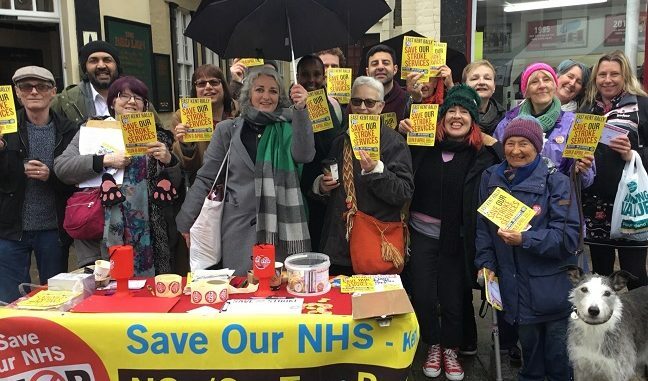 Health campaigners launched a formal challenge and said they would consider seeking a judicial review over plans to close the stroke unit in Margate’s QEQM hospital in favour of a hyper-acute unit at the William Harvey Hospital in Ashford. The WHH unit is due to be one of three proposed for the region. The Kent and Medway Sustainability and Transformation Partnership (STP) – which is spearheading the plans – says the hyper acute stroke units will each have a multi-disciplinary team of specialist stroke clinicians, seven days a week. The units will care for all stroke patients across Kent and Medway and from some neighbouring communities in Sussex and South-East London, in the critical first 72 hours after a stroke. The Save Our NHS In Kent (SONIK) Group wrote to the Kent and Medway STP asking them to abandon or restart the consultation process. SONIK claimed that the consultation over the proposals, which was launched in February and ran until April 13, was fundamentally flawed. 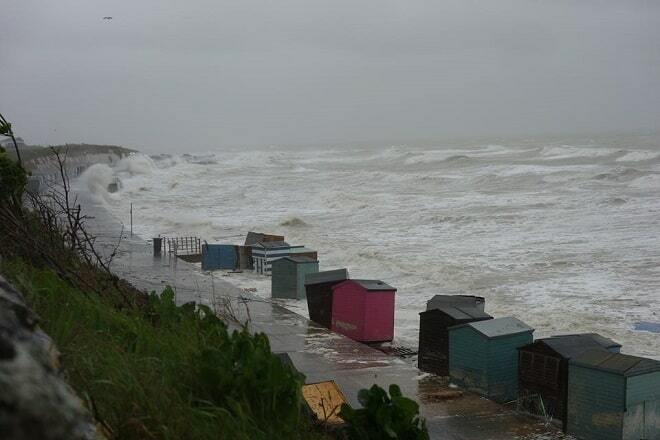 Beach huts were damaged and washed into the water in Ramsgate, Broadstairs, Westbrook and Minnis Bay on April 30 when the country was hot with severe weather conditions. In Ramsgate the Thanet community hut was pulled into the water and smashed on the harbour wall. In Broadstairs there were reports of several huts being damaged by high waves. In Minnis Bay more than 20 private huts suffered roof and structure damage. On the same day a man died from his injuries after being swept off Ramsgate’s East Pier. Ramsgate RNLI was called to a report of three people being washed off of the pier. A fourth man was also rescued. The crew were called out after receiving the report from fishing vessel Columbus. 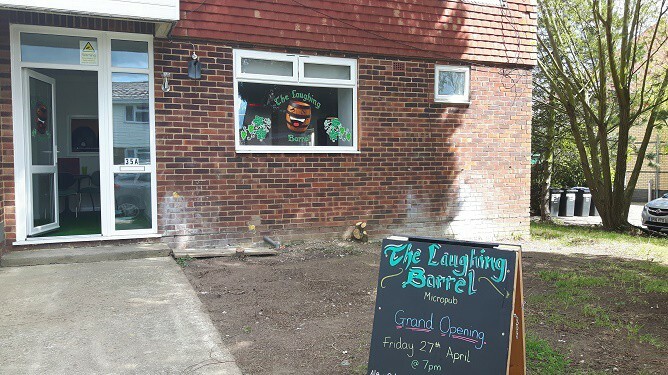 Palm Bay housing estate finally had a local pub for the first time in 12 years when The Laughing Barrel opens its doors on April 27. 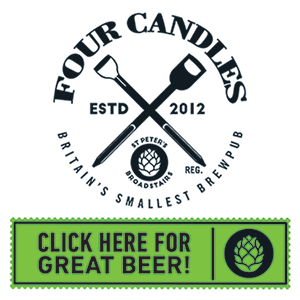 The micropub, on part of the site of the former Northdown pub in Summerfield Road, was a new venture for Michael McColl and partner Alison Jarvis. The couple renovated the site with Mick even building the bar himself. Dad and grandad Mick took the plunge by giving up his job as an upholsterer to return to his love of pub work. 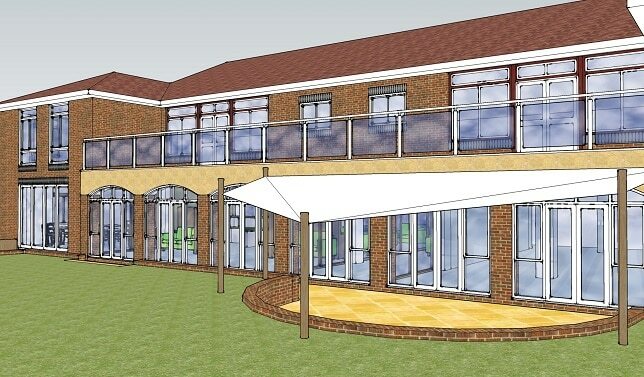 A £1 million project to transform the Thanet Pilgrims Hospice was announced. 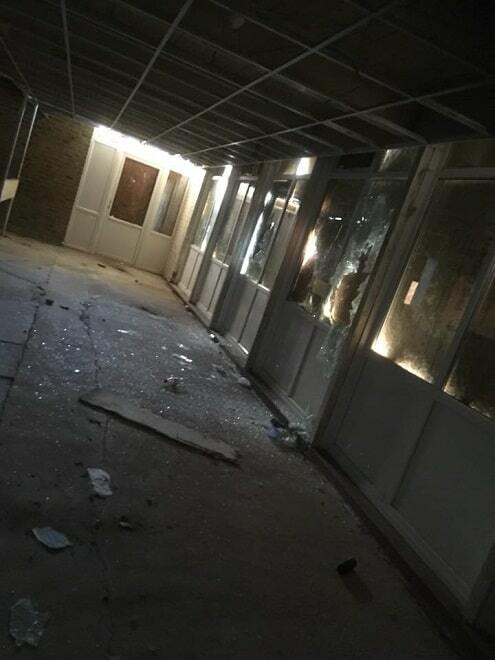 The current site was built 25 years ago by the same firm that constructed QEQM Hospital but the charity said the time had come to make the building fit for the next 25 years by creating a space that is like a home from home and stripping out the clinical interior. May 25 marked the 20th anniversary of a fire that devastated the Pleasurama site in Ramsgate. 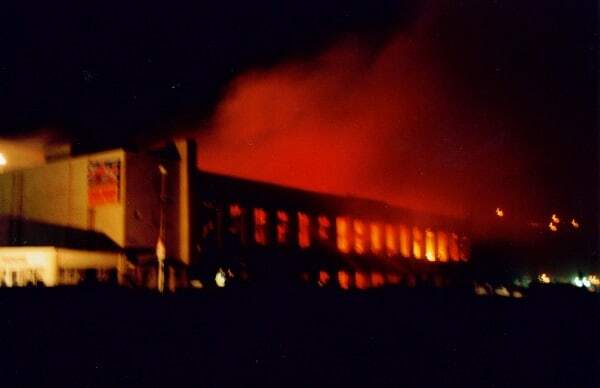 The blaze on the evening of May 25 -going into May 26-, 1998, devastated everything on the site, including the listed railway -which was after deemed too dangerous to remain and was completely demolished – the amusement arcade, cafe/restaurant; bingo hall and associated offices. It took place two years after then-owner Jimmy Godden took the land over. 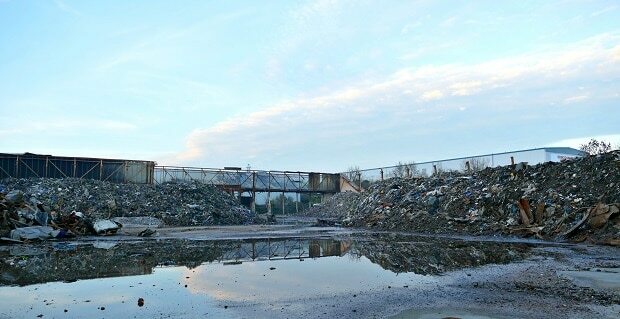 The seafront eyesore remains empty despite the granting of planning permission is 2004 for a 60-bed hotel, 107 residential apartments, leisure facilities and retail. A seven-storey, 117 bed hotel in Cliftonville was granted planning permission by Thanet council. 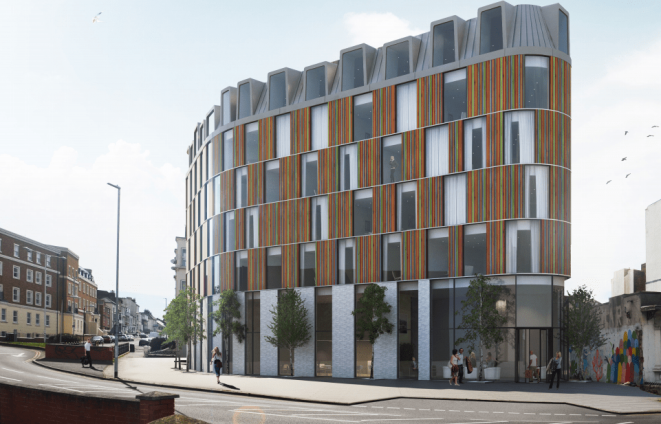 Guy Hollaway Architects submitted the application for the multi-coloured hotel on the corner of Ethelbert Crescent. 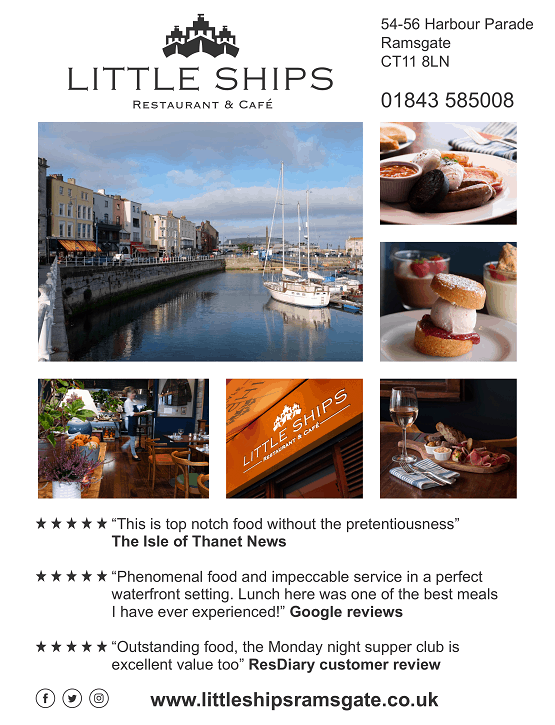 The hotel is expected to cater to the rise of artists moving into the town attracted by the rejuvenation of Dreamland, Turner Contemporary and the new Carl Freedman gallery and Tracey Emin studios earmarked for the former Thanet Press building in Union Crescent. 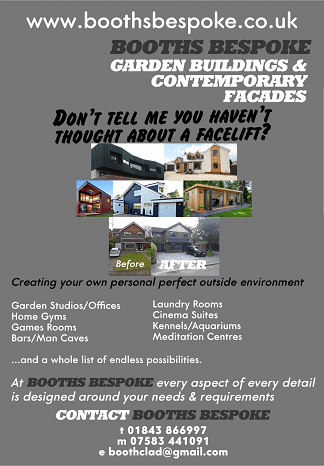 Customers of the hotel, designed by Guy Hollaway Architects on behalf of Beechworth Properties Ltd,will be encouraged to travel to the venue by public transport. Labour county councillor Karen Constantine called for the option of providing an authorised site for Travellers as the isle experienced its 26th ‘illegal’ camp of the year. She said she has met with some of the Travellers on the isle and they told her they were keen to settle down, not permanently, but long enough for their children to obtain some education. She said they expressed shock when she explained how many homeless people there are in Thanet. She said: “I can fully understand the frustrations of the ‘settled’ community with the mess and disruption that sometimes occurs after these so called ‘incursions’. But we do also have to recognise that Travellers have rights too. We need to strike the right balance by creating proper sites with proper facilities. 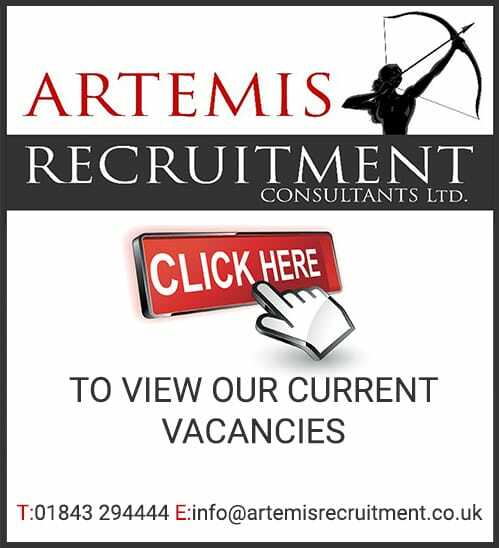 There is a shortage right across Kent. 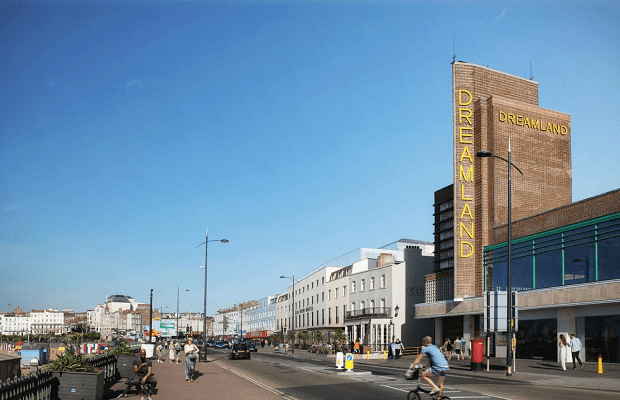 The Isle of Thanet News revealed a proposal for a 120-bed ‘lifestyle’ hotel at Dreamland. 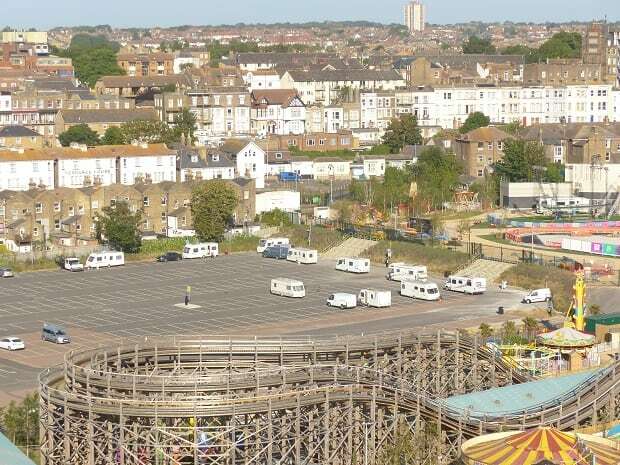 Margate Estates, which is now the name of the parent company for Dreamland, confirmed it had organised events for July to provide residents with an update on its £50 million investment in Dreamland. 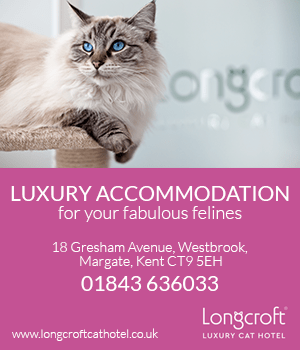 They hotel is planned for the ‘Godden’s Gap’ site on Margate seafront where an amusement arcade once stood. The classic Gresley Class A4 Pacific locomotive, Bittern, arrived at its destination in Margate. 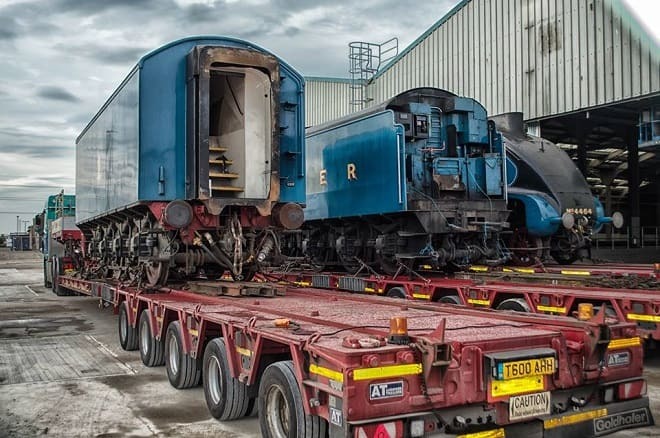 Bittern left Crewe to travel to the Locomotive Storage Ltd facility at the former Hornby factory site. Bittern weighs 102 tonnes and its tender weighs 30 tonnes unladen (before coal and water). It was transported via low loaders and spotted en-route on the M20 and at Westwood Cross as it neared its destination. 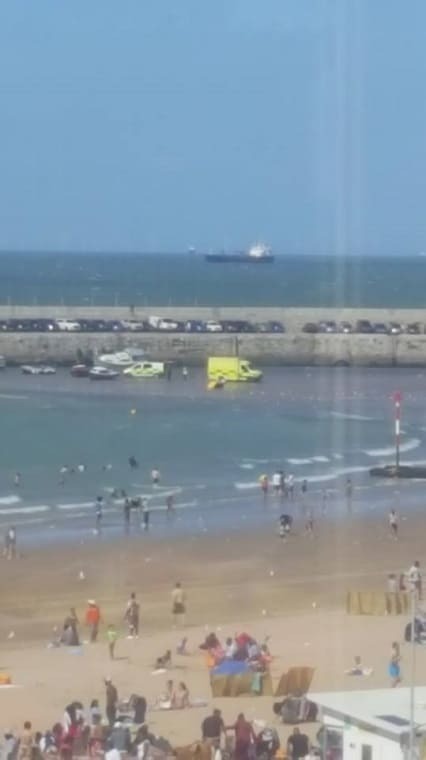 A six-year-old girl lost her life during a family trip to Margate beach. Dajahnel Young was discovered lifeless on sand by Margate harbour on July 28. CPR was performed by paramedics and Dajahnel, from Erith, was taken to QEQM Hospital in a serious condition. Sadly she later died. A good meal, haircuts, music and an elephant were on offer at Drapers Mills school in Margate for the launch of the Summer Kitchen. 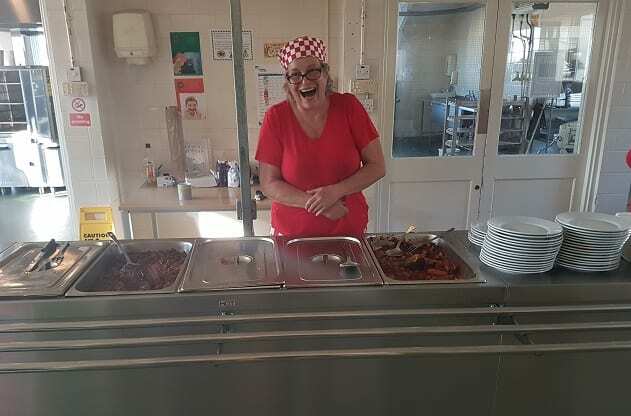 The community kitchen offered free meals, both eat in and takeaway, every Monday, Wednesday and Friday throughout the school holidays, It also ran at St Christopher’s Church in Newington. The scheme, thought to be the first of its kind in the UK, was run by Our Kitchen on the Isle of Thanet with Drapers Mills school, Get Out Get Active (GOGA) Thanet, Fareshare, Asda, Windmill Allotments, Geoff Philpott’s farm, Your Leisure and county councillors Barry Lewis and Karen Constatine who both gave £5,000 in funding. Some 40 people turned out for the first night. Thanet councillors voted to move forward with a new Draft Local Plan, which will mean the re-allocation of 2,500 homes to greenfield sites in the villages, Margate and Westwood as part of a pledge to retain aviation use at Manston airport. The draft plan – which is a 20 year blueprint for housing, business and infrastructure on the isle – was approved to go to the publication and public comment stage by a vote of 31 in favour and 21 against. Thanet District Council was already in ‘intervention’ with the Government closely monitoring progress due to the authority’s earlier failure to put in place its local plan. Kent Police charged Michael Tovell, 45, of Margate Road, Ramsgate. He was also suspended from duty. 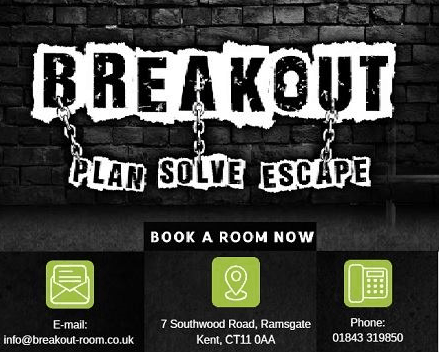 The company bidding to start a freight ferry service between Ramsgate and Ostend said it was aiming to begin sailings at the end part of this year – and launched a website advertising the route. Seaborne Freight is a UK company incorporated in April 2017 by marine consultant Roy Dudley. Last October, during the run up to the Ostend elections, town mayor Mr Vande Lanotte announced a ‘basic agreement’ had been made for a ferry line between Ostend and Ramsgate. The mooted March 1 start date came -and went- with no ferry service in evidence. No contract had been signed by Thanet council and there remained the question of which vessels could serve the route. 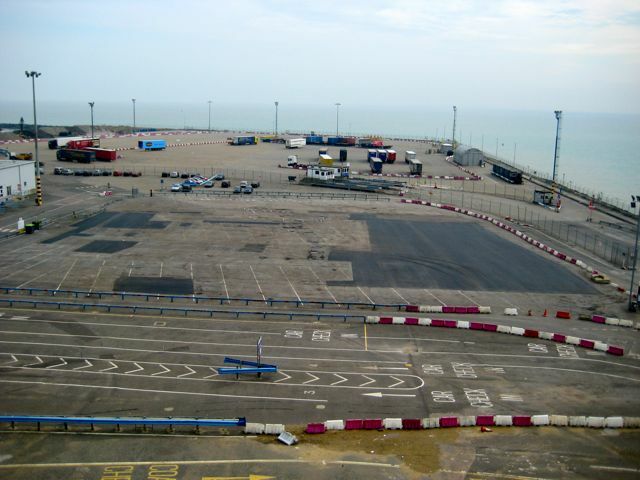 Only one vessel has been identified as being suitable for use at Ramsgate Port. That is the former Dover-Calais ferry MS Nord Pas de Calais. 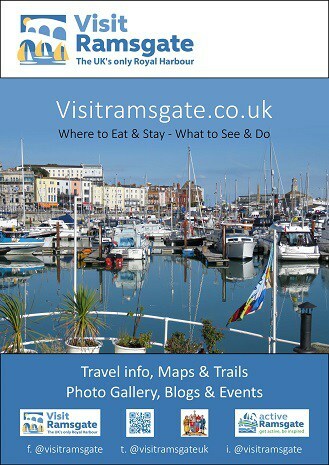 In April Thanet council leader Bob Bayford said work on ferry operations was the priority for Ramsgate Port, which has lost a staggering £20million since 2010, according to Thanet council’s statement of accounts for each financial year from 2010/11 to 2017/18. Fire crews were called to the former Hilger Analytical unit after 16,000 bales of illegally stored household waste caught fire on September 15. At the height of the inferno 14 fire engines and 80 firefighters were at the scene. 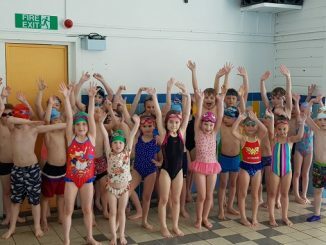 Northdown Primary was closed due to “unsafe carbon monoxide readings,” and there were reports of Thanet children complaining of health problems including chest infections and asthma attacks. Firefighters remained at the site for three weeks as the two-tonne bales, tightly wrapped in plastic, continued to smoulder. 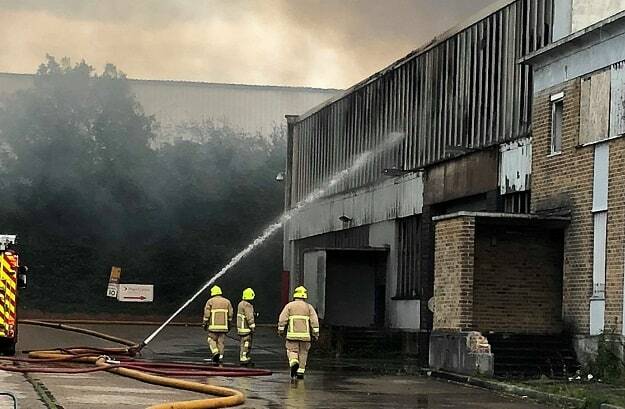 Neighbouring businesses, including fitness centre CrossFit, were forced to close as the fumes continued to pollute the air. A boy and two girls, all aged 12 from Margate, and a 13-year-old girl from Margate were arrested on suspicion of arson on September 23. They were released pending further investigation. Kent Police later confirmed no charges will be made against the 13-year-old girl. The investigation is ongoing. The site owner Conservation Property Holdings, registered in the British Virgin Islands and business rate holder DW Lands are yet to clear the site. An Environment Agency investigation into the illegally stored waste is also ongoing. Early plans for the £6million expansion of Turner Contemporary in Margate were revealed during an event on September 19. 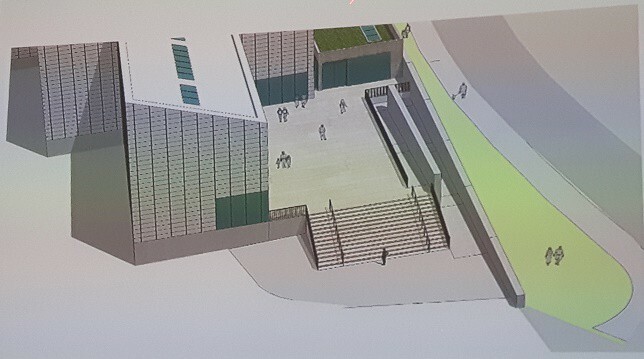 The plans could mean a reduction to the entrance steps, removal of the rampway and a new entrance from Fort Road. Initial designs were shared at the event hosted by gallery director Victoria Pomery, Trustees’ chairman Clive Stephens, Kent county councillor Mike Hill and Fiona Lamb from Avanti Architects. 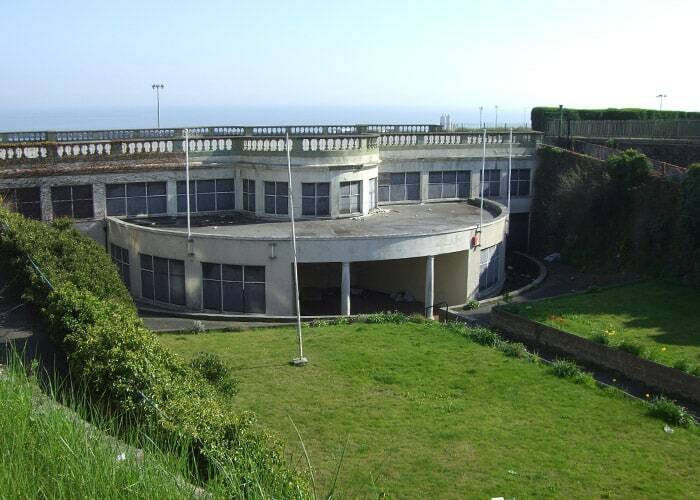 The Western Undercliff café and toilets sold for £100,000 at auction. 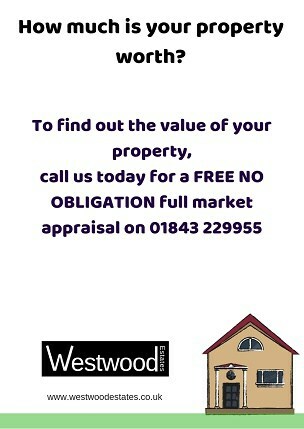 Ramsgate’s West Cliff Hall also sold at auction for £225,000 – more than double the guide price. It was agreed for sell-off in July as part of the council’s asset disposal programme. 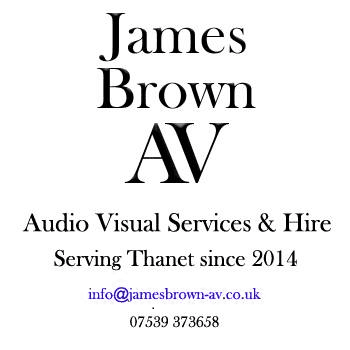 The decision infuriated Project MotorHouse, headed by Ramsgate resident Janet Fielding, which had been working since 2009 to acquire and renovate the hall to create cinemas; theatres; bars; restaurants, offices and youth facilities. 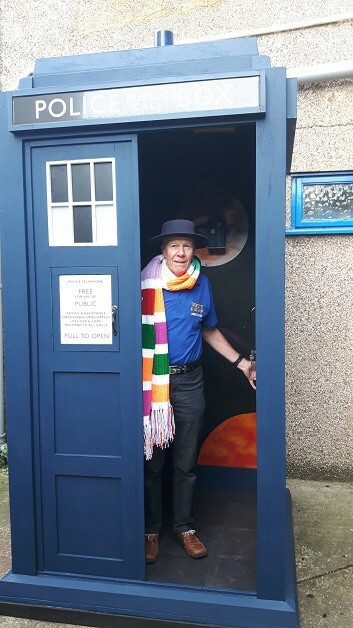 A 9ft Tardis was the star attraction at the Union Church fair. The full-size time-travelling machine was created by the Margate church’s handyman Bill Forrest and included a mini Tardis and planet decoration inside as well as that all essential Time Lord gadget -the telephone. Craftsman Bill, 67, spent six months creating the work of art and said it was his “last hoorah” project for the church. Art work for the inside was created by Darren Main and Ian at Eyeball Signs made the signage and polo shirts with Tardis logos. Three teenagers were arrested, and later released on bail, following an assault in Margate on a 12-year-old Charles Dickens pupil. The victim, Evee-Anne Cooper, suffered a head injury during the assault that took place in Arlington Gardens at around 3.30pm. She was taken to hospital for treatment and has since been recovering at home. She is yet to return to school. A video of the vile attack, where the youngster was repeatedly punched in the face and then kicked in the head, had been circulating on social media. Kent Police arrested three girls, aged 13,14 and 15, from Margate on suspicion of assault. 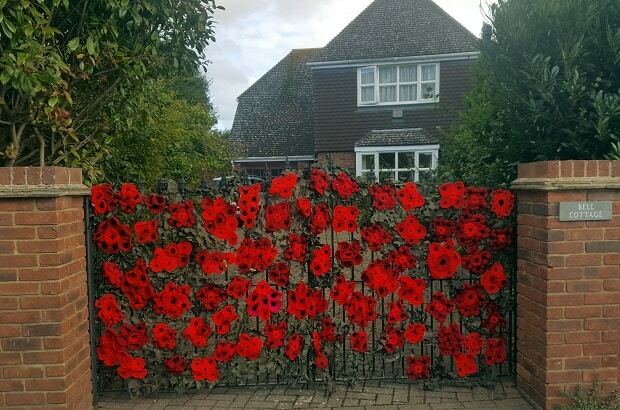 People across Thanet turned out on November 11 to mark Remembrance Sunday and the 100th anniversary of the end of the Great War. Services, a series of beacon lightings and a two day living history event in Broadstairs, hosted by Bradstow School, all took place. 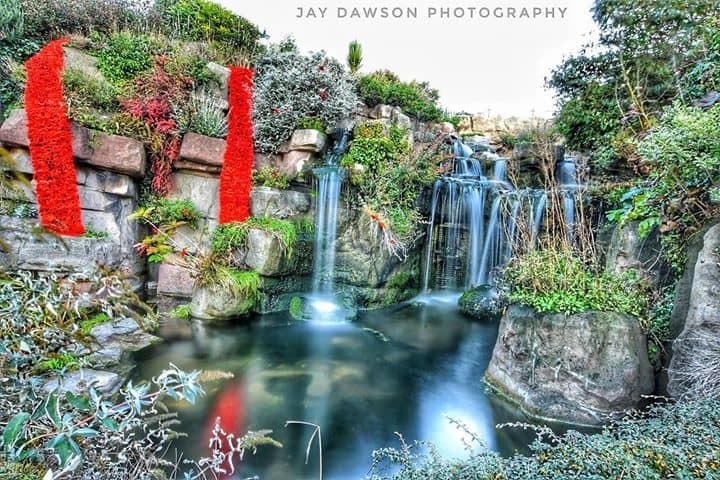 Knitted and crocheted poppies and scenes popped up across the isle, including in Minster and at Ramsgate’s Madeira Walk waterfall. 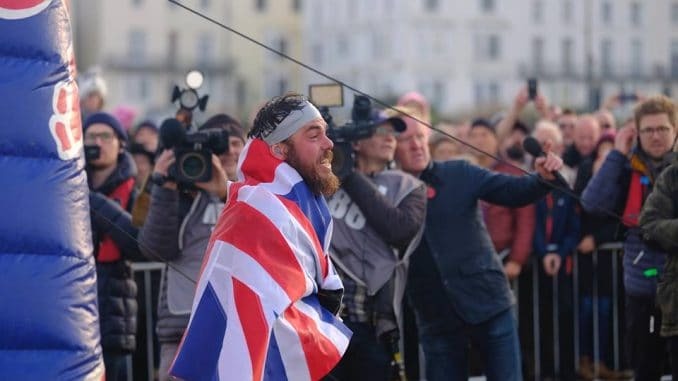 Hundreds of people lined Margate seafront on November 4 to watch adventurer Ross Edgley become the first man in history to swim 2,000 miles around Great Britain. Ross, who began his swimming feat from Margate in June, took 157 days to complete the Great British Swim. Storm Callum, Storm Ali, hundreds of jellyfish stings and a disintegrating tongue caused by salt water could not stop his efforts. 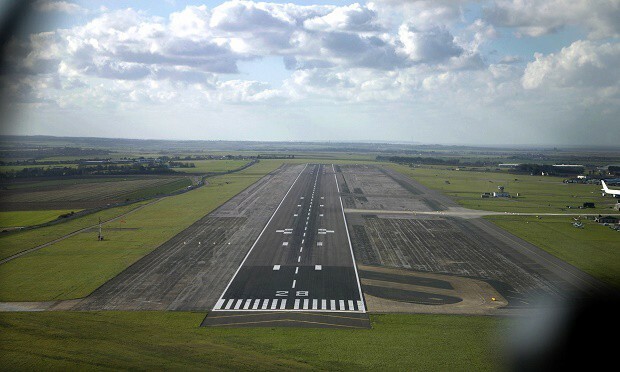 The next steps in a bid by firm RiverOak Strategic Partners (RSP) to gain compulsory buy-out powers over the Manston airport site were published by the government Planning Inspectorate (PINs). RSP submitted a Development Consent Order application on July 16. It followed the withdrawal of a previous application after PINs requested further information related to funding, to the categorisation of the project as being of national significance, and to aspects of the supporting environmental statements. The DCO seeks development consent and compulsory buy-out powers over the land. It is the means of obtaining permission for developments categorised as Nationally Significant Infrastructure Projects (NSIP). This includes energy, transport, water and waste projects. PINs published the timetable for hearings and deadlines for information to be submitted during the examination of the DCO application. A preliminary hearing will be held at Margate Winter Gardens on January 9 followed by an issue specific meeting on January 10 and open floor hearings on January 10-11. A full examination timetable will be issued after the first deadline of January 18. The timetable consists of a series of deadlines for the submission of material requested by the examination panel. 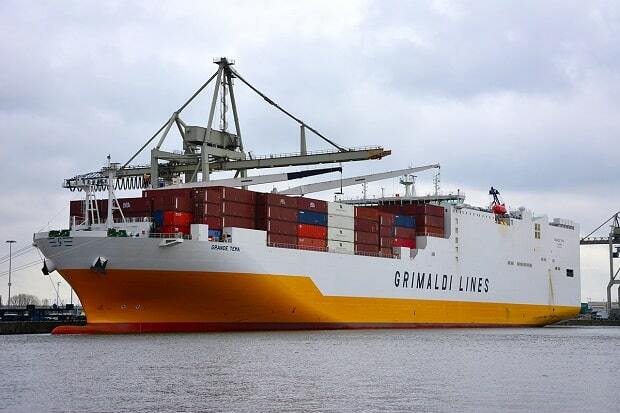 An operation was launched after stowaways aboard Italian registered Grande Tema reportedly threatened crew while the vessel was in the Thames estuary, in waters off Ramsgate. 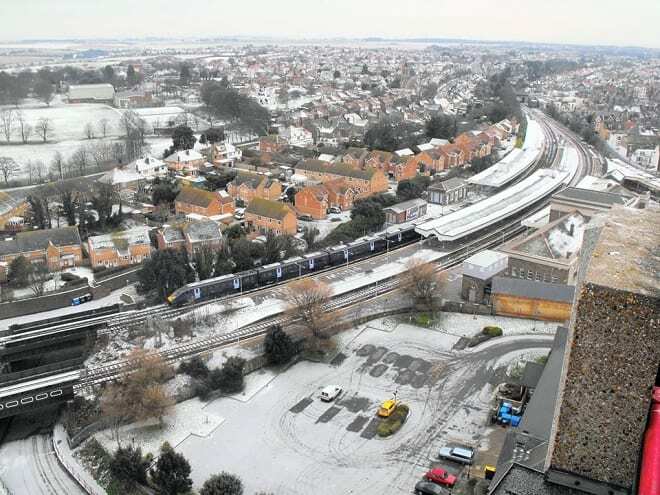 Police, Coastguard and Border officials were called into deal with the incident on December 21. Crew locked themselves on the Bridge. The vessel was boarded by the SBS. Four men were charged with affray following the incident aboard the Grande Tema in the Thames estuary on December 21. 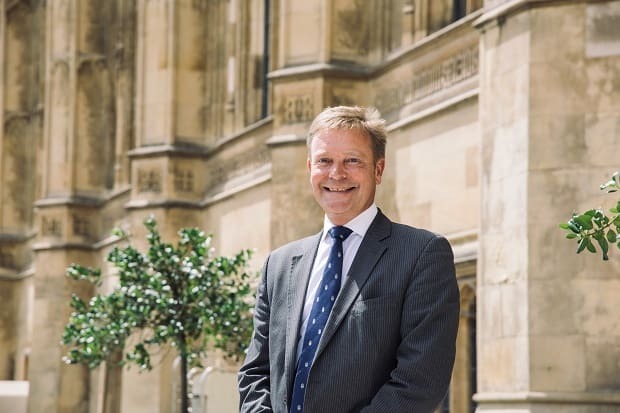 The trial of South Thanet MP Craig Mackinlay returns a verdict of not guilty for aide Nathan Gray but failed to reach a decision on the MP and Conservative Party worker Marion Little. Mr Gray was cleared of one charge of making a false election expenses declaration. The jury has now retired and will continue considering the verdicts for the counts facing both Mr Mackinlay and Marion Little in the new year. Southwark Crown Court heard how the jury will resume their deliberations from 11am on January 2.